TEHRAN (Iran Daily) — The chairman of the Iranian-Swiss Chamber of Commerce, Sharif Nezam-Mafi (شریف نظام مافی), said that negotiations are underway that one or two private Iranian banks register branches in Switzerland to facilitate Tehran-Bern transactions in the light of US sanctions against Iran. 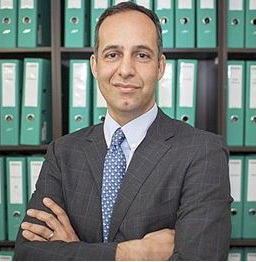 “The good news is that the majority of Swiss firms have not only not ceased cooperation with Iran, but also continued their activities”, quoted Nezam-Mafi Iran.ru. According to him: “Private Swiss firms are familiar with the Iranian market and consider it promising. They decided not to abandon it even under pressure [from the USA].” In the end, these firms make decisions based on their interests, he noted. He expressed the hope that Swiss firms will continue to work with Iran even after the second round of US sanctions, but said that the scale of their activities depends on the level of pressure that the US administration will exert. It is noted that Iran, prior to US sanctions, mainly imported industrial equipment from Switzerland, but imports are currently limited to grains and health products, the official said. Nezam-Mafi explained that Iran’s exports to this European country consist mainly of petrochemicals and artisans.